For more than 10 years our team has worked with hundreds of healthcare providers across the country helping them save money on the food, supplies and equipment they purchase daily. We understand that healthcare providers are under major pressure to cut costs without sacrificing quality and patient care and we help them achieve that goal. Fairway GPO, in partnership with Innovatix, the nation’s leading Group Purchasing Organization (GPO) serving healthcare today, understands the unique needs of providers in this rapidly changing industry. Our organization helps thousands of healthcare provider members achieve substantial savings. Our affiliation with Innovatix provides you access to a comprehensive $45 billion purchasing portfolio—a program that is unmatched in the marketplace today. Our goal is to help our healthcare provider members become more cost-efficient in a very competitive market. We offer an array of money-saving products and services to assist you in reducing expenses while enhancing the quality of care and services you provide. 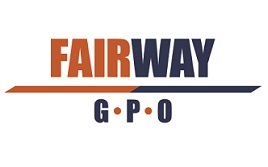 Fairway is committed to becoming your GPO of choice. With no fee to join, the decision to use the most extensive portfolio of products and services for the healthcare market is made simple. We look forward to working with you.